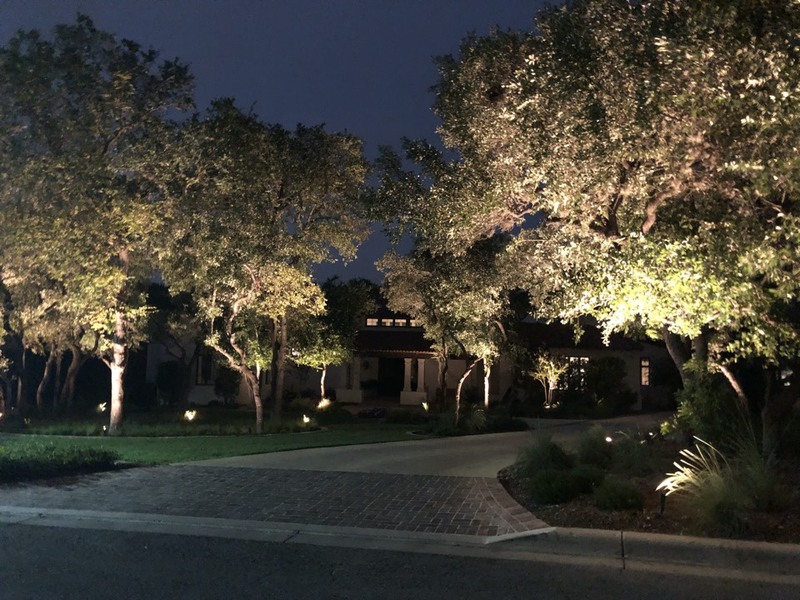 When you’re looking for outdoor lighting to enhance your San Antonio property, keep it secure or do a bit of both, Enhanced Outdoor Lighting & Design is the company to turn to. 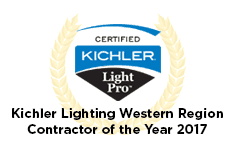 Our family-owned business offers the highest quality lighting for residential and commercial properties. When you choose us for your outdoor lighting needs, you can depend on our team to provide you with superior service. Our lighting experts can help you select the ideal lights for your landscaping, pool, garden, or patio. 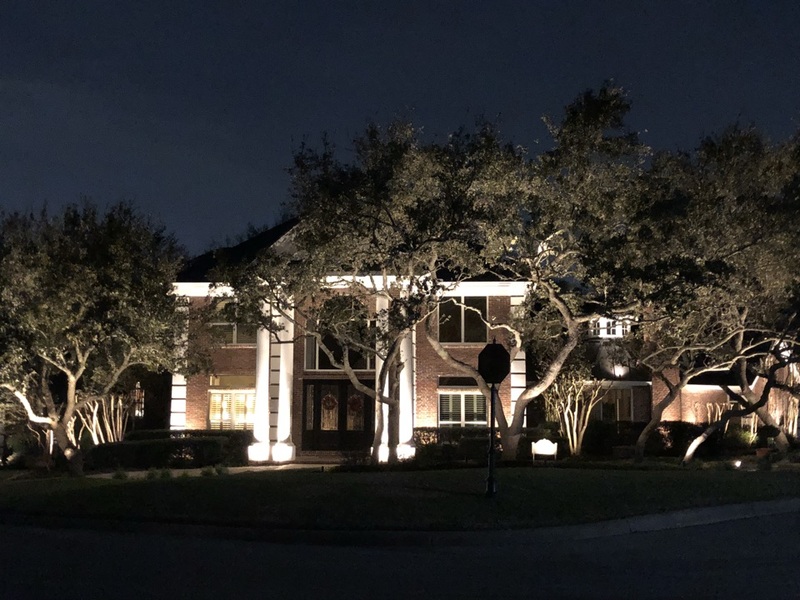 If you’re specifically looking for security lighting to keep your property safe, our team can make sure you get the right kinds of optimal results. 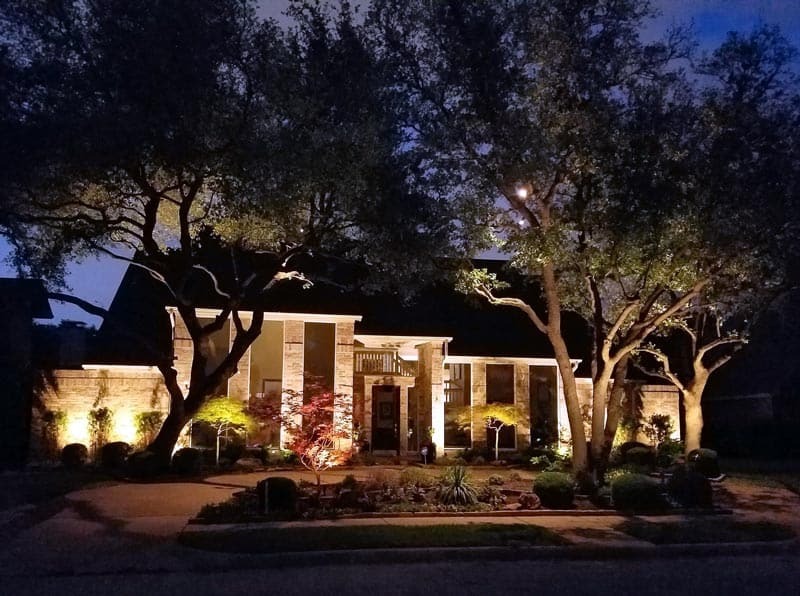 At Enhanced Outdoor Lighting & Design, we’re dedicated to providing San Antonio homeowners and business owners with lighting that adds aesthetic value to residential and commercial buildings. Our experts will guide you through the process of creating the perfect lighting design for your property. You can rely on us to provide the best outdoor lighting in San Antonio with LED fixtures that offer 40,000 hours of lamp life. From the initial consultation to the nighttime inspection after installation, we remain fully committed to making sure you enjoy exceptional service. Landscape lighting provides a way for you to highlight specific features of your property or enhance its appearance overall. 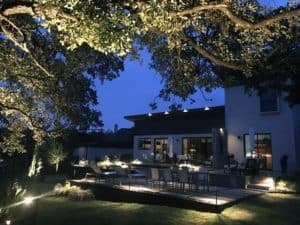 Choosing the right landscape lights for your residential or commercial property requires careful consideration to achieve the results you want. At Enhanced Outdoor Lighting & Design, we have a team of experts who have the knowledge needed to ensure that your property looks its best. 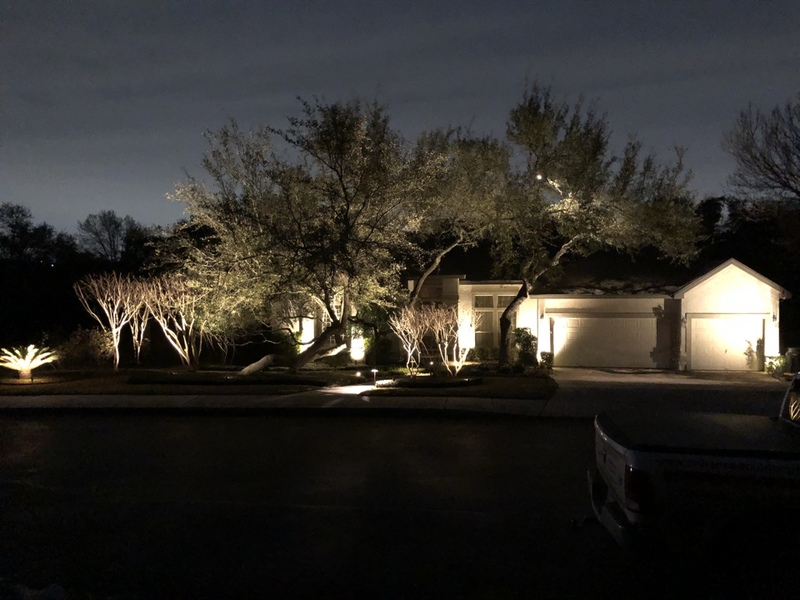 Our professional lighting experts will help you select the ideal landscape lighting for your San Antonio home or business. We keep your design preferences in mind while also considering several factors. After your free consultation, our lighting experts will go over your design plan and get to work installing it. Whether you just want to draw attention to a few landscape features or brighten up your landscaping in general when it’s dark out, our team will create a design plan that fits your needs. Once we’ve installed your landscape lighting, we’ll make sure that you’re fully satisfied with it. Keep in mind that we do nighttime inspections to check on your lighting and make changes to it if needed. The average income per household in San Antonio is $46,317, which is a bit lower than the average household income in the U.S. However, an average cost of living that is slightly lower than the average cost of living in the U.S. overall makes up for this. Average home prices in the city are around $175,000, which is also lower than the average home price in the U.S. Roughly 1,469,850 people call San Antonio home, and the population continues to grow. San Antonio offers a great combination of amenities and attractions with a more laid-back atmosphere than other large cities. This slower pace makes the city a relaxing place to live while still providing residents with plenty of things to see and do. In fact, U.S. News and World Report ranked San Antonio among the Best Places to Live in the entire U.S.
San Antonio is also known for having a strong sense of community. Those who want to give back to the community and contribute to keeping the city a great place to live have several volunteer opportunities to choose from. For example, volunteers with the Parks and Recreation Department can help clean up litter, while those who volunteer with Animal Care Services can help care for animals who are up for adoption. 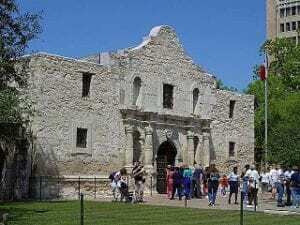 San Antonio offers an impressive selection of landmarks to see and things to do for those who live here. History buffs can visit the famous Alamo Mission to learn more about the state’s past, while those who enjoy shopping, dining and scenic views can stroll along the San Antonio River Walk. Outdoor enthusiasts can head to Natural Bridge Caverns for underground tours, or spend time at Brackenridge Park walking along trails, playing sports or having a picnic. The park also offers train rides. Residents who enjoy visiting major attractions in San Antonio can see more than 750 species of animals at San Antonio Zoo, go on thrill rides and water rides at Six Flags Fiesta Texas or watch aquatic animals swim and glide through the water at SeaWorld San Antonio. Those who love arts and culture also have several places to visit in San Antonio. The San Antonio Museum of Art has a large selection of artwork, including Egyptian art and Latin-American art. Briscoe Western Art Museum offers visitors a chance to view American Western artwork, while Tobin Center for Performing Arts hosts concerts, plays, musicals, and other live events throughout the year. This company is the best you will find. They aim to please and that they do. I have never dealt with a more professional group than the guys installing the lights. Tim and Dan stand behind what they tell you. They take extreme pride in their work and ensure customer satisfaction. Need outside lighting, I guarantee you will be satisfied. Give them a call! These guys are awesome and make you feel like family. They are quick, professional and courteous and deliver outstanding results. 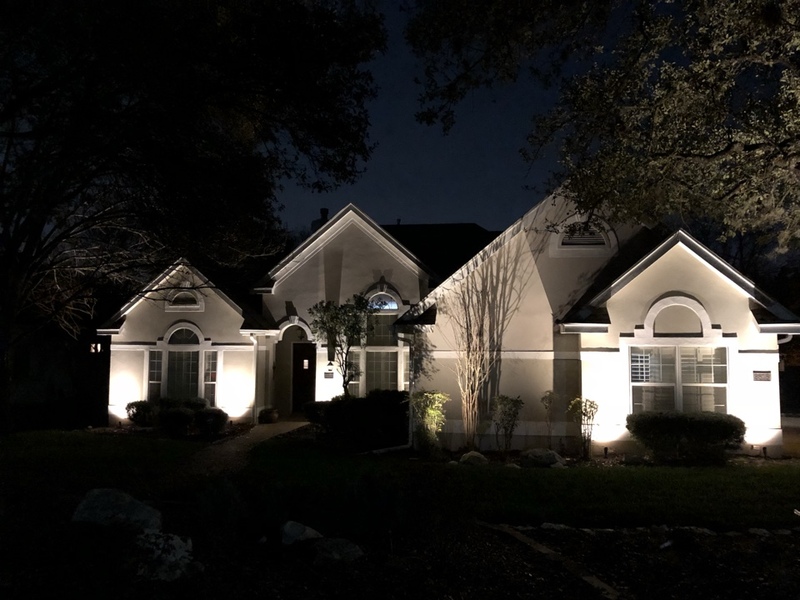 A beautiful lighting job done in San Antonio by Enhanced Outdoor Lighting using kichler lighting.